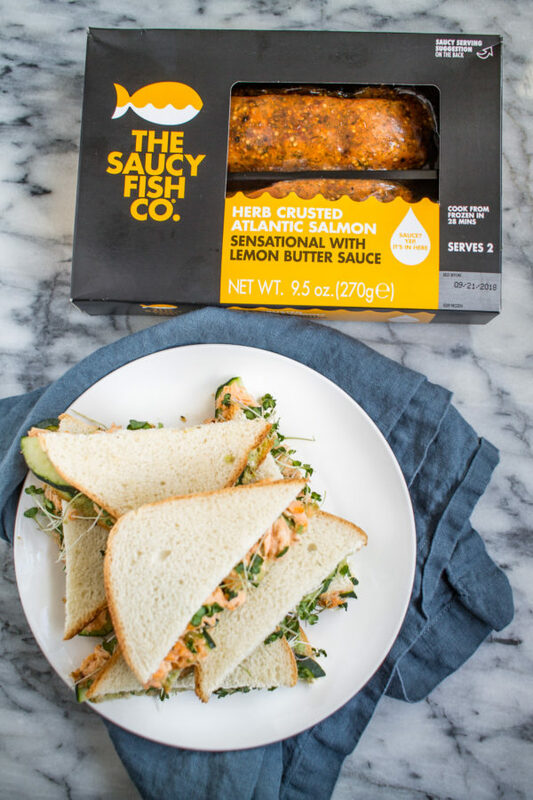 Salmon Avocado Sandwiches with The Saucy Fish Co. 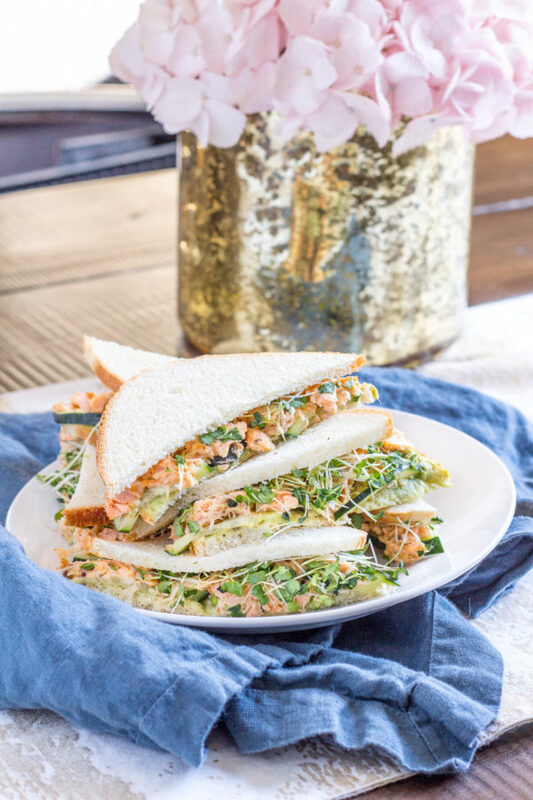 These flavorful salmon avocado sandwiches are made with The Saucy Fish Co.’s Herb Crusted Atlantic Salmon with a Lemon and Butter Sauce, plus mashed avocado, cucumber, and micro greens on thin sliced bread. 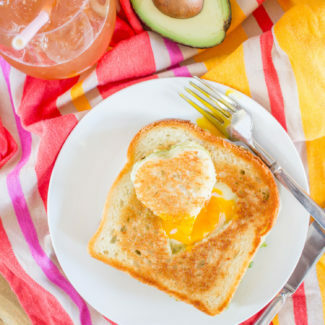 It’s an easy meal that would be a nice addition to a brunch menu. When The Saucy Fish Co. asked to team up again, I was excited and an idea instantly came to mind. 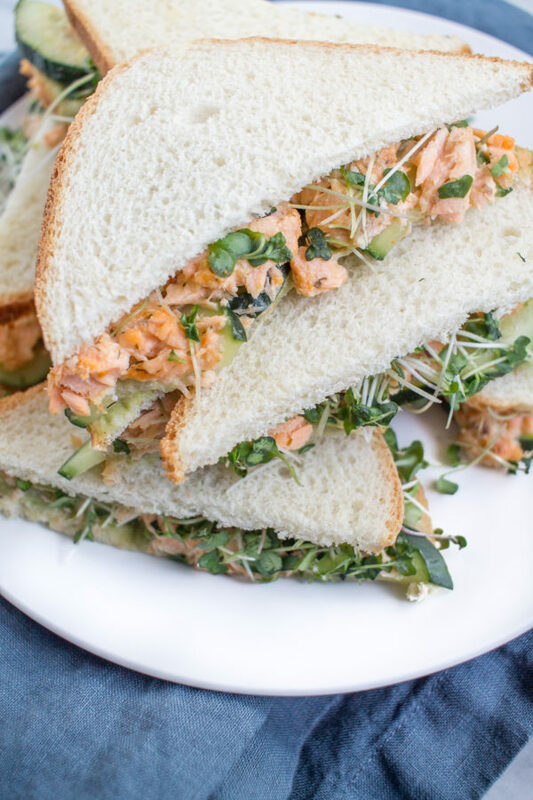 I wanted to make delicate salmon avocado sandwiches, similar to the tea sandwiches I have had in London. One of the things that I love about Saucy Fish Co. products is the ease of preparation. The fish is seasoned and just need to be reheated in a special bag that steams it. The best part is that it comes with a sauce that pairs perfectly with the fish. Of course the salmon tastes great served on its own with the sauce, but it can easily be incorporated into recipes. 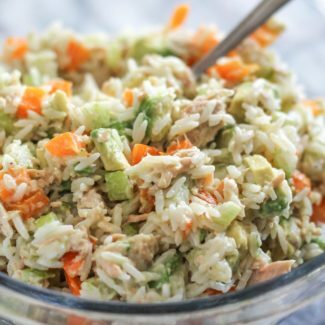 I shredded up the flakey salmon and added the sauce to give it an extra kick of seasoning. Then I mashed an avocado that I seasoned with lemon, sea salt, and pepper. Assembling the sandwiches was simple. I layered the mashed avocado, thin cucumber slices, the salmon, and some micro greens. 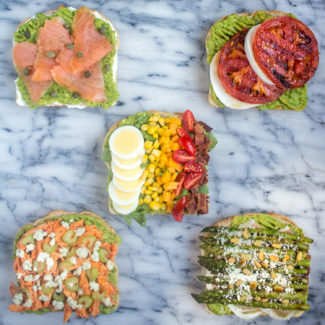 I loved how the salmon was the main component of the sandwich, how the cucumber and micro greens added a fresh crunch, and how the avocado pulled everything together while helping to hold the sandwiches together. 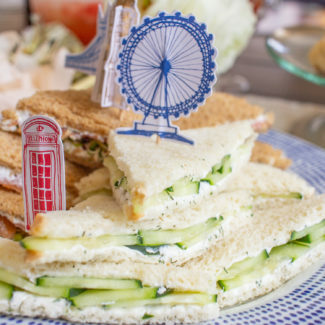 These sandwiches would be perfect to serve at a brunch or daytime party. They are just the type of light finger food that is ideal for a daytime gathering. Just remember that you need to make these sandwiches just before serving, otherwise the avocado will make the bread mushy. 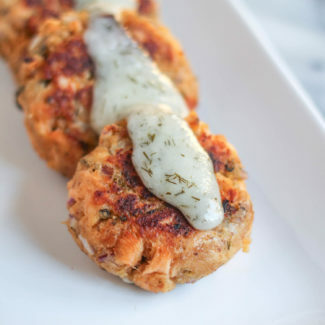 Last year I partnered with the Saucy Fish Co. to make Salmon Cakes, you can get that recipe right over here. First, you need to follow the instructions to reheat The Saucy Fish Co.’s Herb Crusted Atlantic Salmon. Remove the fish from the packaging, place it in the bag so it will steam, and then place the bag on a baking sheet. Bake at 375 degrees for 28 minutes. While the salmon is cooking, remove the pit from the avocado and scoop it into a bowl. Add the lemon juice, salt, and pepper. Mash with a fork. Once the salmon is ready, place it in a bowl, and pour the Lemon and Butter Sauce over. Then use two fork to break up the salmon and to stir in the sauce. 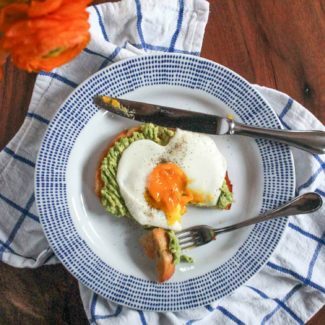 To assemble the sandwiches, spread a tablespoon of the mashed avocado over a slice of bread. Next add a layer of cucumber slices, then about 3 tablespoons of the salmon. Add a generous pinch of micro greens on top. Add the second slice of bread and slice the sandwich in half. Repeat these steps to make three more sandwiches. This blog post is sponsored by The Saucy Fish Co., as always, the opinions expressed are my own. 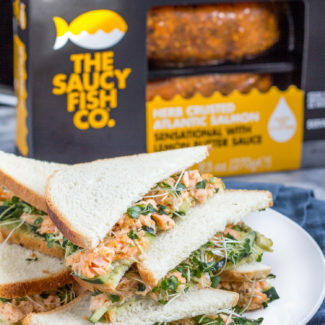 If you are in Chicago, you can buy The Saucy Fish Co. products at Mariano’s. 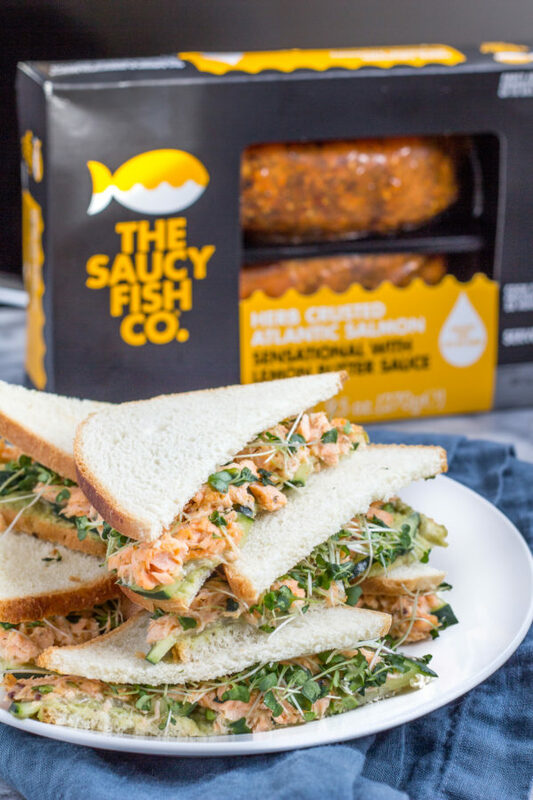 For more information, you can follow The Saucy Fish Co. on Instagram, Twitter, Facebook, and Pinterest.